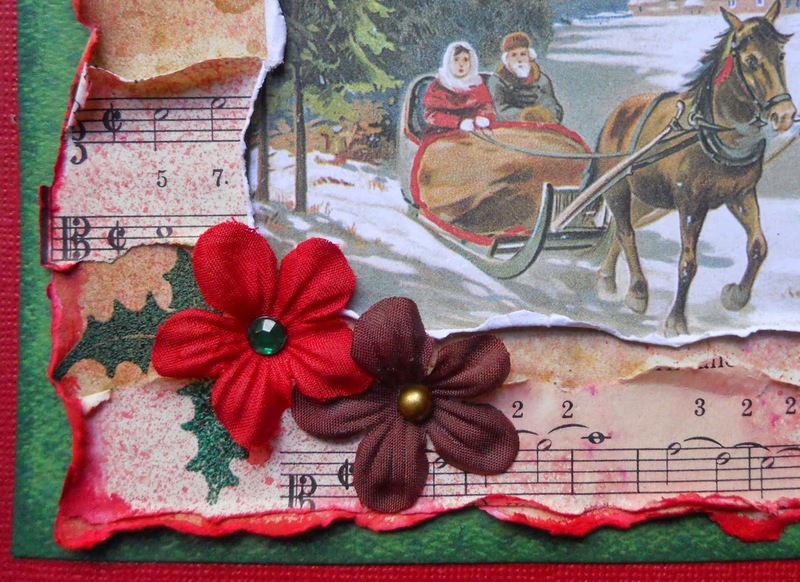 The new Bo Bunny Christmas Collage I want it all bundle, from FotoBella, is so beautiful and festive!! It's never too early to get started on your Christmas cards, like the one I made here. 1. 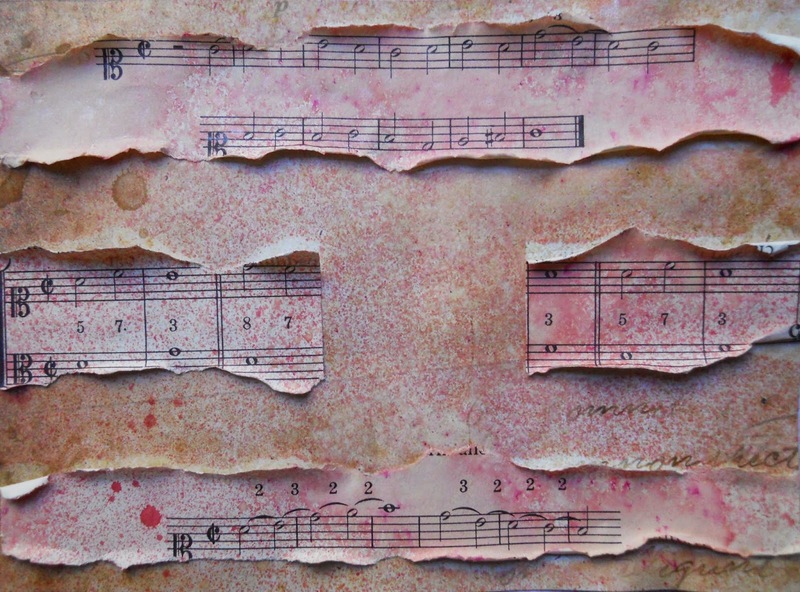 Cut the cream paper with the music notes on the back, from the Ephemera Package, to 5 1/2" x 6". 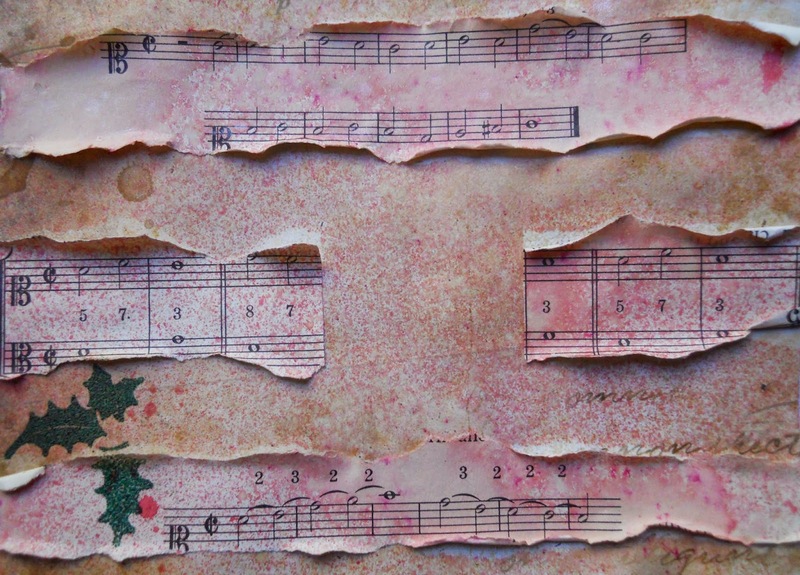 Tear the sheet music that also comes in the package, along the music notes, and glue just the middle of the strips down. Spray with some mists. 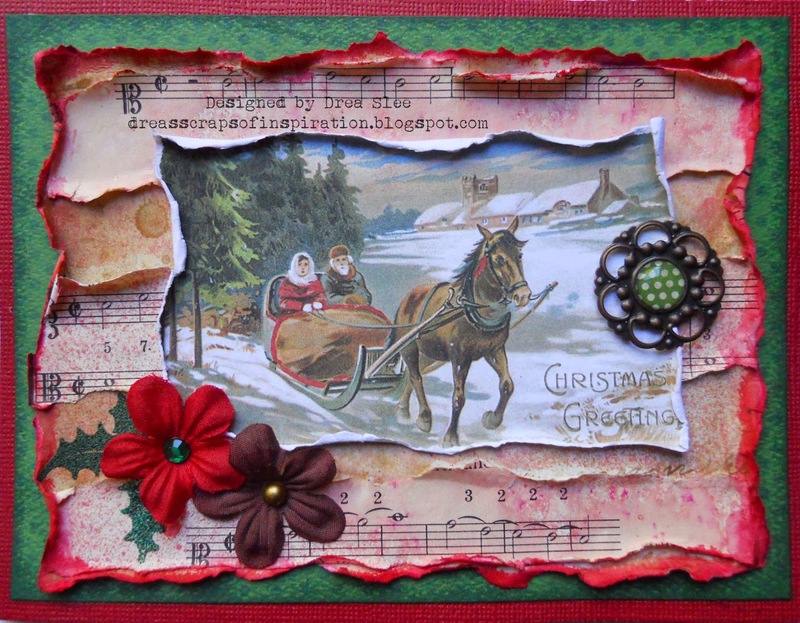 I used Lindy's Stamp Gang (Rudolph's Red Nose and Clam Bake Beige). While it's still wet curl and distress your edges. 2. Use the stamps that also come in the Ephemera Package to emboss the leaves on the bottom left. I used Ranger's Topiary Embossing Powder. 3. 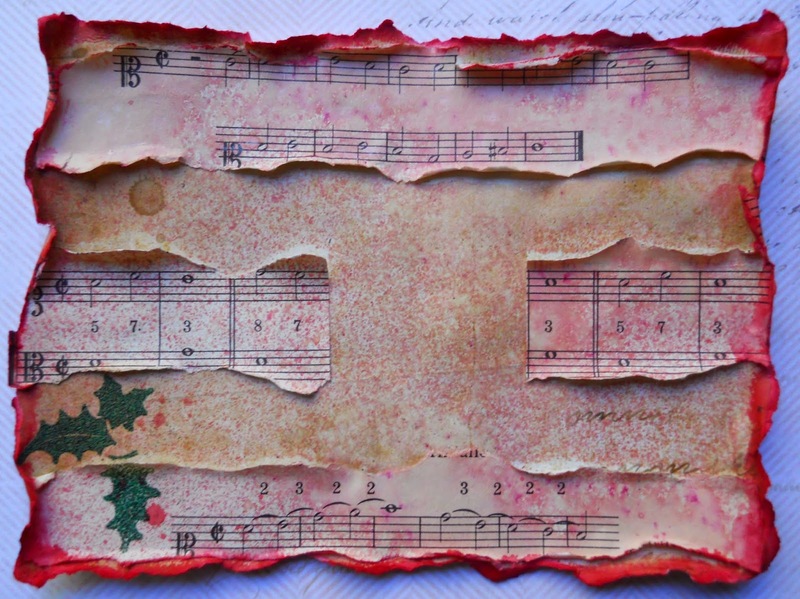 Tear around all of the edges and ink with Distress Ink (Festive Berries). Wet the edges and distress them even more by curling them up. 4. 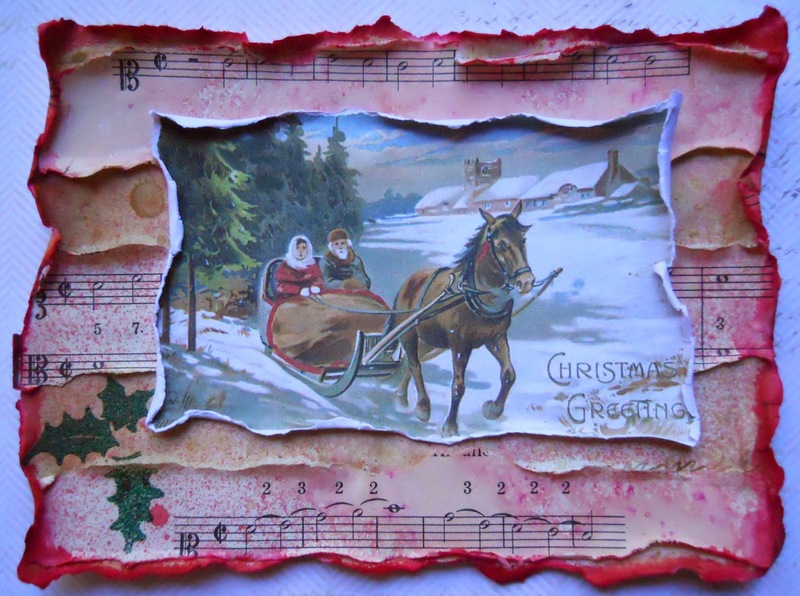 Tear and distress the edges of the horse and sleigh image that comes in the Noteworthy package, and glue it to the middle. 5. Cut the green paper from the Ephemera Package at 6 1/4" x 4 3/4". Ink the edges with Distress Ink (Pine Needle) and glue to card cut from red cardstock at 6 1/2" x 5". Attach brad to the image and glue onto the green paper. Now just add the flowers and bling which also come in the Ephemera package.